I have oily skin. Anything and anywhere that has Neem in it, and that promises to be natural; catches my fancy. 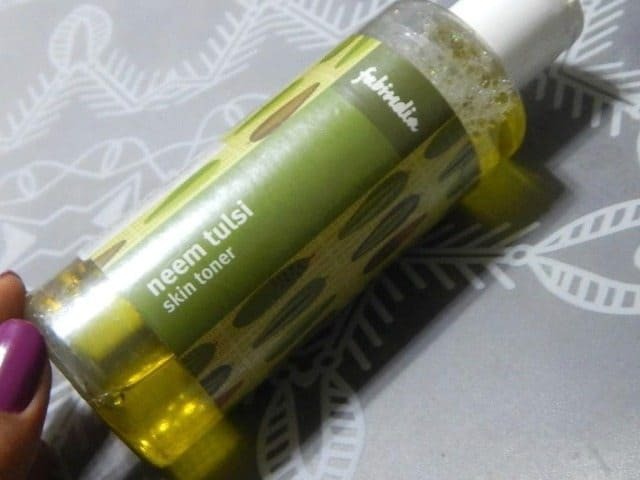 This Fabindia Neem Tulsi Toner that I am reviewing today, was an impulse buy. I strongly recommend you read my review, before deciding to buy this! This toner is meant for oily skin or people with acne as it meant to tackle bacteria that cause acne. 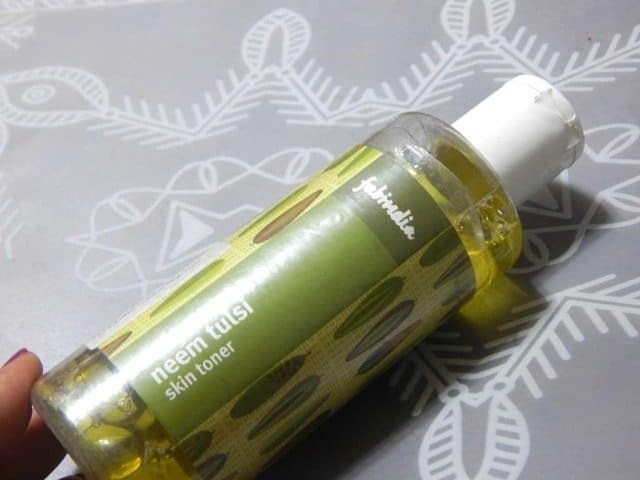 Our alcohol-free neem tulsi skin toner is rich in antiseptic and antibacterial properties. It deep cleanses the skin by removing impurities and dirt. Ideal for oily skin. 200 ml. 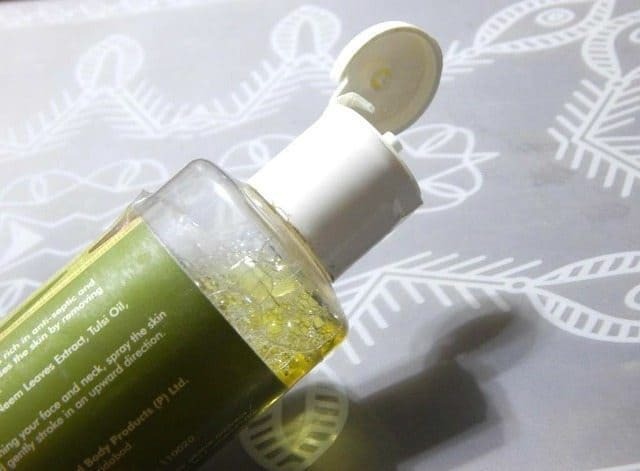 Ingredients: Purified Water, Neem Leaves Extract, Reetha Extract, Rose Water, Aloe Vera Extract, Hydroxyethyl Urea, Glycerin, Polysorbate 20, Phenoxyethanol, Imid Urea, Cocoamidropropylbetaine, Allantoin, Tulsi Oil. 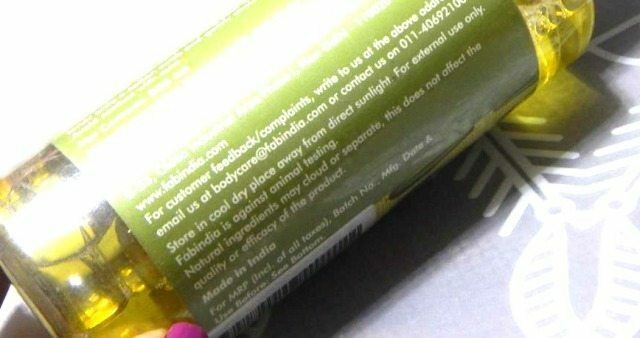 It was an impulse buy and no prizes for guessing, the neem tulsi tag and the anti bacterial properties attracted me, the green in it was a little off putting but I had to try it, I must say what a disappointment it was. The smell of very strong and cheap soap was killing. I could barely use it for ten days but had to see if it works, the another disaster apart from the smell is the green tint it left on my skin, no matter how less I use. Overall the tone was horrible. The packaging is good overall with flip open cap, but I do not find the toner usable at all. It also felt little sticky on the skin, but the smell and green tint was unbearable overall. No please do not fall for the claims or the tags, please skip this toner! MAC Sunny Seoul Dupes !